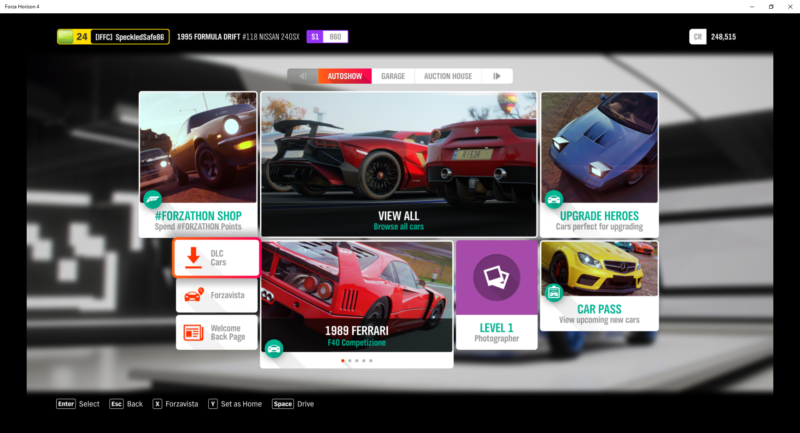 Forza Horizon 4 has several different editions that you can purchase, and even if you purchase the standard edition, you will still receive a DLC pack. 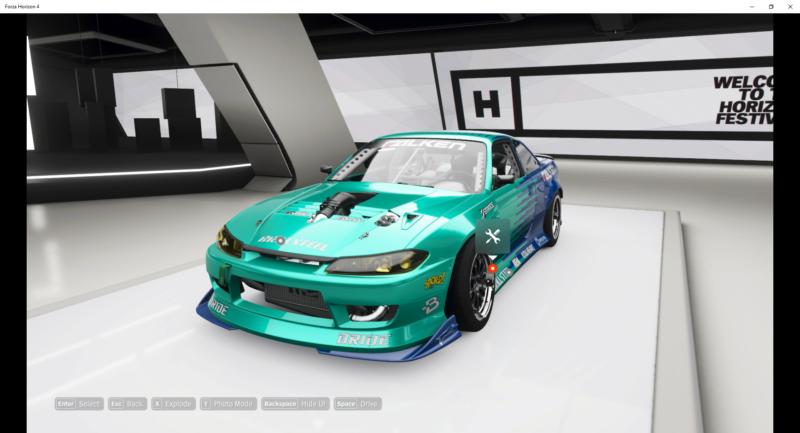 I bought mine from Microsoft and it came with the Formula Drift car pack. So if you’ve bought the standard edition or whatever edition but you can’t use your cars, read on. Previously I went to “Car Packs” and saw that the particular package has been purchased, but for whatever reason I can’t get the car. You need to go to the Autoshow instead. This only works if you’re in a house or the Horizon Fest. 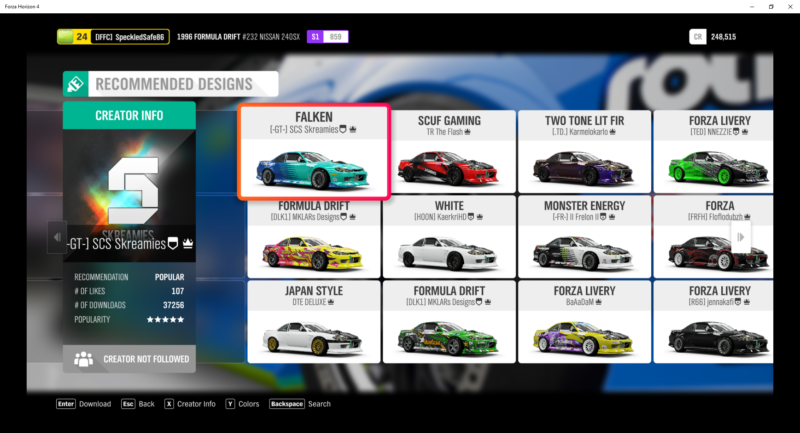 Click on DLC cars and that’s pretty much it. 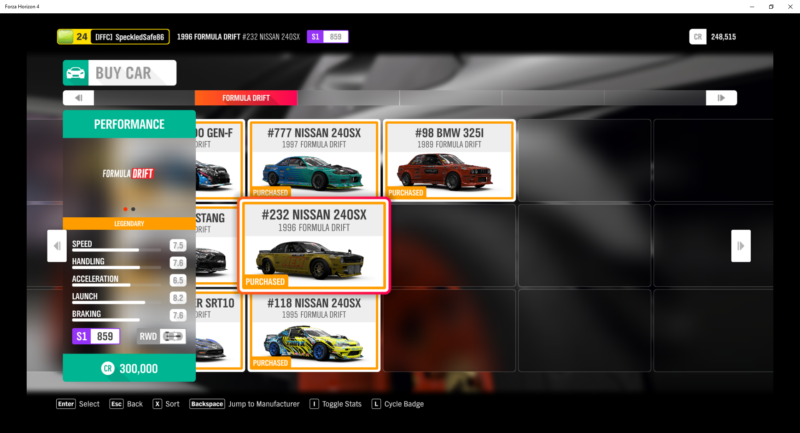 You will see all of the cars in your package as shown below. If you haven’t redeemed it yet, it should show that it’s free. Just click on the car and start customizing as usual. They will direct you to the top designs by other users as you can see in the image above. Just get a design and you’re pretty much done. You can choose to go to photo mode or even customize further. Otherwise, just press space to drive. 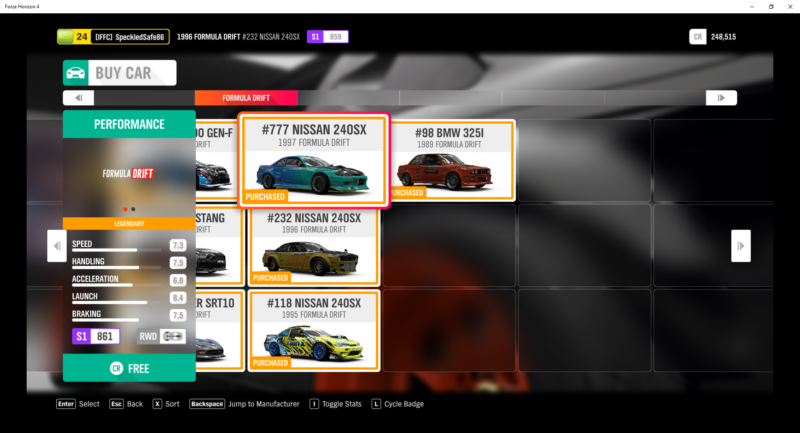 To redeem other cars in the DLC pack, you need to manually repeat the process for the other cars, since you have to choose a design and so on. I’m not sure if there’s a way to just redeem all of them together. And that’s about it. For cars that you have redeemed, it should show the price there. If it’s your first time redeeming yet it’s not free, then maybe try checking to see if you’ve logged in with the right account. Otherwise, you have to contact the support staff at Horizon. Hopefully this has been helpful for you if you’re super new.